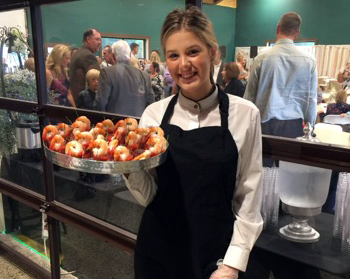 Mrs. B’s Catering is Miami County’s premier off-premise caterer for weddings, corporate, and special events. 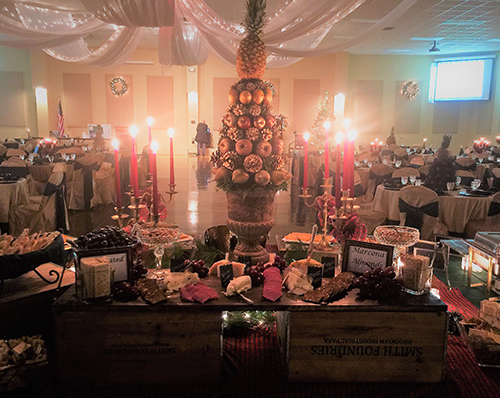 Our unique presentation, buffet design, and service will make your event memorable. Mary Beasecker, owner of Mrs. B’s Catering has been in business for over 15 years. Our track record is a testimony to our creativity, reliability, and sensitivity to detail. Mrs. B’s family owned business is managed by her daughter, Terri Woodcock. Terri has a Bachelor of Science Degree in Restaurant, Hotel, and Institutional Management from Purdue University. Her 20 years of experience have included management positions with Aramark and Marriott.